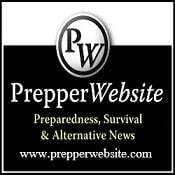 Urban Prepper Chick - Learn as I Go: Sandi's Coming dang it! I am to the right of the path and we are bing told over 70% of my area is going to lose power. I may not be posting for up to a week. Also my day job will tie me up if it is bad. So prayers are out to everyone with the storm. And hopefully we all come out of this with our power! I should be fine till midday tomorrow. Potty talk and an herb to know.